Every leader knows what it’s like to saddle up and ride into a hurricane of personal attack. Storms are tipping points for success or failure. The issue isn’t the storm, it’s how you deal with it. Reputations are formed and solidified in storms. You try to serve well and make things better, but things get worse. People doubt your good intentions and complain about your performance. It stings when people speak evil of the good you’re trying to accomplish. Complaints go up. Encouragement goes down. You’ll be tempted to pull up and turn away when you encounter personal storms. But pulling back in storms is deadly for leaders. Don’t shoot yourself in the foot when good intentions blow up in your face. Suppose you’re trying to encourage everyone on the team, but some feel overlooked. Others complain that you’re playing favorites. It stings. Ride into the storm when team members speak evil of your good. Don’t pull up or turn away. 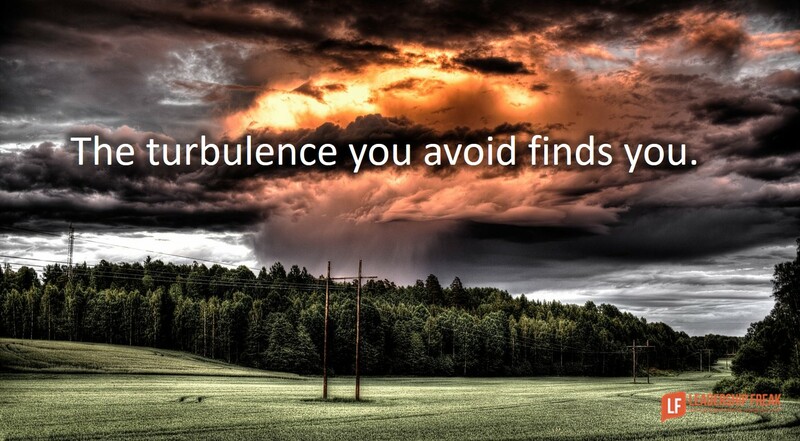 The turbulence you avoid finds you. Don’t let hurt feelings defeat you. Step 1: Lean in. “Oh, I’m sorry you feel that way.” Apologize, even if you didn’t intend harm. Step 2: Declare good intentions. “I’m committed to encourage people.” Don’t hide. Don’t make excuses. Step 3: Invite involvement. “What suggestions do have that would help me better express my commitment to encourage people?” Invite complainers/attackers to help you make things better. Detractors and complainers may not help, but let them know that you’re pressing forward. How might leaders respond when good intentions blow up? Good stuff, Dan. Step Three is all about continuous continuous improvement and links neatly into the frameworks of active engagement and even Servant Leadership. Making one’s intentions known and acting congruently are positives for the long term. Lastly, have clear goals and have fun out there, too! Thanks Dr. Scott. Love the term “Spectator Sheep.” Often critics and nay sayers are spectators. You know, Dan, I’ve done this very successfully in the past. Recently, though, blame and one-upmanship has made it dangerous to say “I’m sorry…” even before you get to the rest of the statement in the next 10th of a second! You worded it exactly as I used to… “I’m sorry you feel that way.” I have more recently used… “Something I said seems to have [angered or upset] you. Can we talk about it? Because that’s not at all what I intended.” Sometimes people say no and come back to me later (calmer,) sometimes they say yes and we talk, but oftentimes they’re already defused, and they take the time to stop the emotional hijack and really think about their reaction and its cause. I also like that this keeps us on the original target of the original good intention. Then I learn something new about that person and he/she learns something about me. Thanks Stephanie. Brilliant!! Love how you lifted this approach to a whole new level!! Would love to read your take on applying this post to the “good intentions” of James Damore’s “Echo Chamber” memo who was fired from Google. I’ll do that Jim. I’m out the rest of the day. I’ll check back later. Thanks again for the comment Jim and thanks for the email you sent of Damore’s memo. He definitely isn’t stupid. I think I can stand by the statement that good intentions don’t compensate for stupid. Any suggestion that Damore is stupid seem out of place. I’ve written a few times on this blog that diversity is meaningless if men and women are the same. Frankly the brains, bodies, and hormones of men and women are different. It doesn’t take a genius to know that. Here are a few posts that I made on this topic. I can stand behind the things I wrote, even if they might feel uncomfortable to some. If Damore is as smart as he seems, he had to know that his memo would create a firestorm. Political correctness makes it difficult, if not impossible to bring up some issues. Thanks again for your contribution to the conversation and your patience with my slow reply. Calling Damore “stupid”–doesn’t that hit the theme of your blog post. Using the word “stupid”–does that invite, involvement, dialogue, and assume positive intent? Damore isn’t stupid–far from it. He may see things differently from you. If we are open, what can we learn from his point of view? In fact Paul, if you read Damore’s bio, the guy is scary smart. Thanks Paul. It was inappropriate to call someone stupid that I don’t even know. I’m glad you chimed in. I think the principle of the statement, “good intentions don’t compensate for stupid,” is valid. You can see my response to Jim just above your original comment. Thanks again. Recently I had a so called storm to deal with. Straight up I told the client, when I found the error, “we made a mistake” and “we will make it right”! Now simple as it sounds, I still have damage control for the individual who made the mistake, but it is still “we” are going to fix it, “we made the mistake”. My point is take any storm on head on, perhaps a diverted course, nonetheless stand up and face your foes. The individual and I shared a conversation that we will make this better and move on to the next project. Remember too that we learned by our mistake, focus, pay attention! The entire crew stood behind him and all volunteered to work with him to fix the problem. After all the individual or individuals feel bad enough, as leaders that is were we come in and get everyone back on track, the healing will follow overtime. –What data am I missing? –What experiences have they had? –How open am I to considering their points? –Is there a better way? Former NYC Mayor, Rudy Giuliani once said, “…having strong beliefs and being able to stick with them through popular and unpopular times is the most important characteristics of a great leader.” Leaders do get attacked even when trying to do good stuff. Leaders are trying to change the status quo. Some want—no change! When attacked try not to get defensive, angry, or upset. Easier said than done. I know when my EI is low, I lose my focus. I like Dan’s suggestions. I also try to determine what the attacker is feeling and why they feel that way. Emotions are powerful motivators. In my line of work (behavioral health/mental treatment field) this happens a lot and can be expected. As a therapist I’m always riding in the storm with others because that is the only way to pull them out of the “storm” and decrease their sense of suffering. I find that sometimes the more I help, others will engage in sort of self sabotage I call: “help-rejecting-complaining.” I have to humbly remind myself that their anger with me is more about their perceived lack of control in the matter, rather than about my good intentions. I find that rather than “pull back” I have to help them explore ways of developing more control and personal ownership with the situation. I guess that really is the role of helping – creating the conditions in the storm for others to take the lead to move out of it. 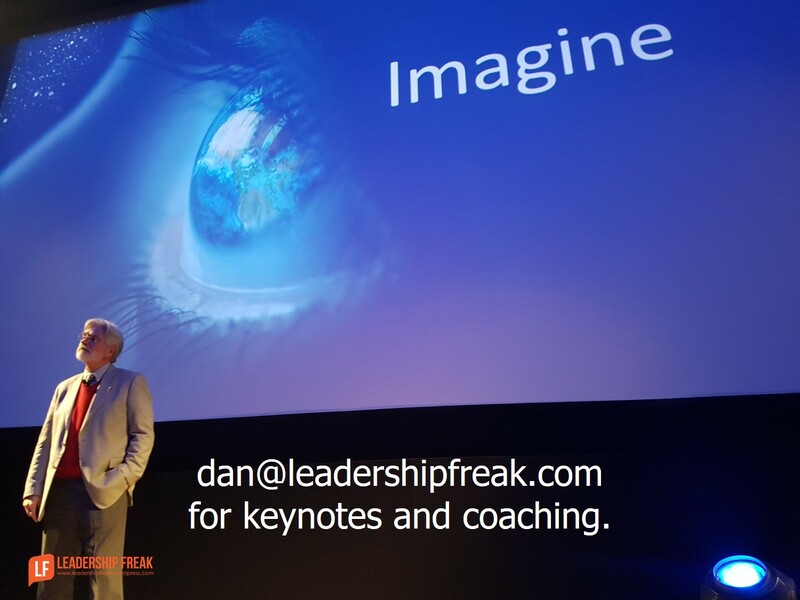 Thanks Dan for the work you do – it truly makes a difference! !